Budget about SGD $34 ++ per person. 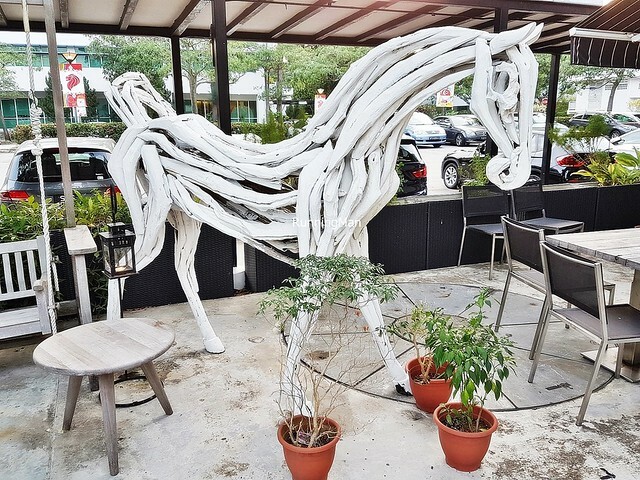 Founded in March 2014 as Portico, which was its name during several of my previous visits, the restaurant has since taken on the name Portico Host in order to differentiate it from the other outlet, Portico Prime, as of August 2016. 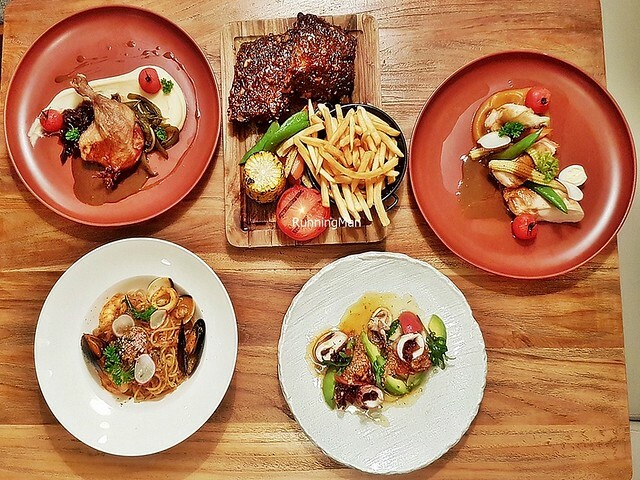 While Portico Host still consistently offers delicious, tasty food in a relaxing and comfortable environment, their new direction offers greater Modern Singaporean flavours, now at a much more affordable price than before. 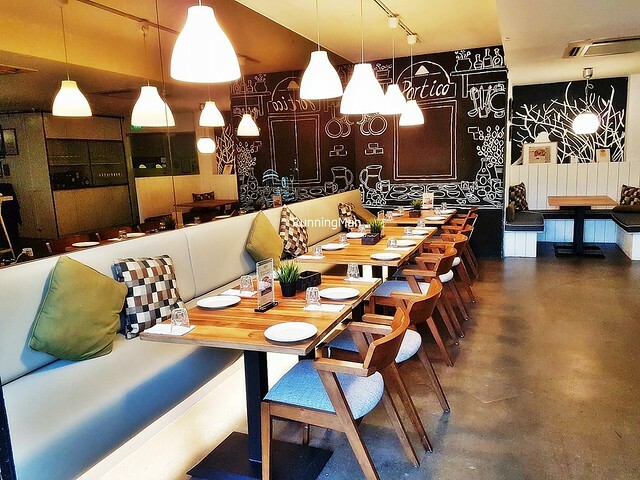 Ambience at Portico Host is casual and comfortable, though the colour schemes have changed to shades of wood, blue, and beige. 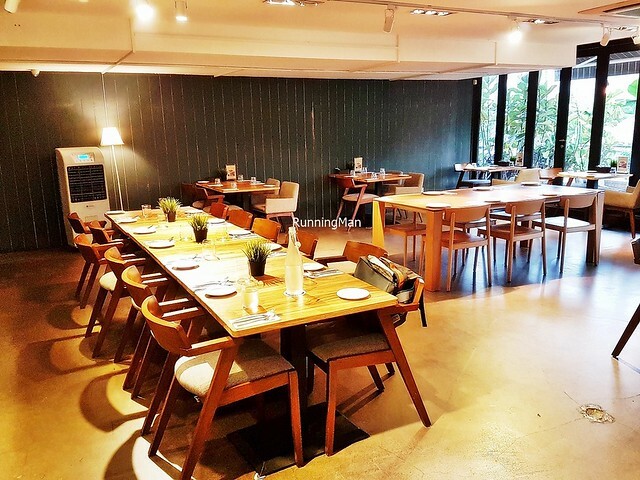 Reminiscent of an elegantly designed living room in a cozy home, the relaxed vibe of the main dining hall, with its warm, intimate lighting and comfortable wooden furnishings, beckons diners to linger with friends over a delicious meal. 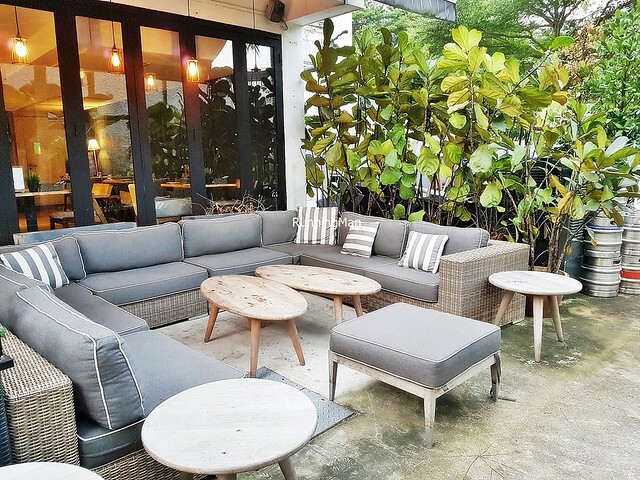 The cool al-fresco area, surrounded by lush greenery and spaced with lounge chairs and sofas, makes for a perfect chilling spot to shoot the breeze. Service at Portico Host remains friendly, warm, and welcoming. Staff greet guests upon entry, getting them quickly seated, and display decent product knowledge when questioned on the menu. I'm glad they're proactive at offering to clear away finished plates over the course of the meal, though I think this new service team is less engaging than the previous team. 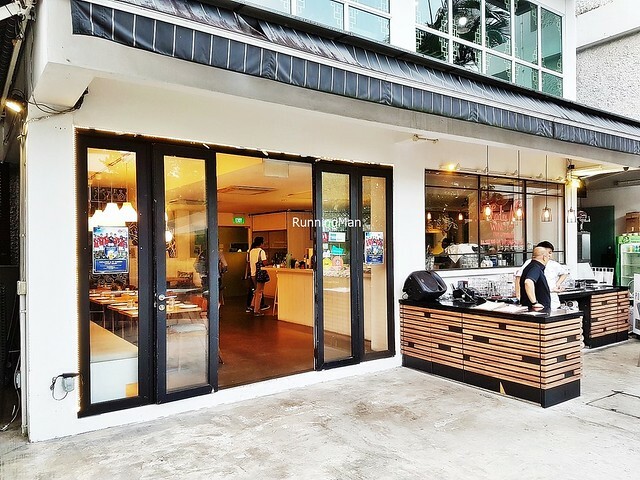 Orders are fulfilled relatively quickly, and I like how the team has organised service for thoughtful efficiency, better than other establishments. 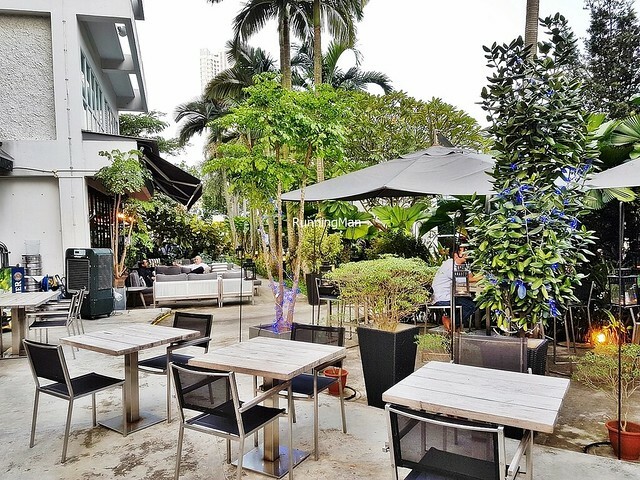 Food at Portico Host is still modern European fusion cuisine, but now with greater Modern Singaporean influences. 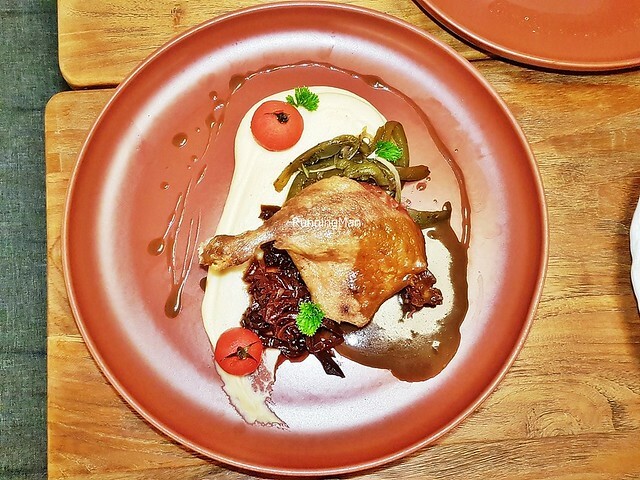 Dishes are still hearty and delicious, made with fresh ingredients and plated beautifully, but instead of artistic plating like before, it's now closer to rustic, comfort food plating style. Portions are medium sized for individuals, and should comfortably fill up most. 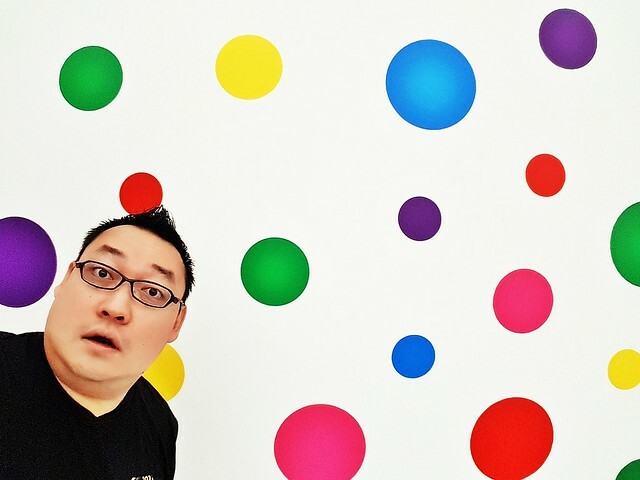 The biggest difference is price, it's now more afforable than before to dine here. Budget about SGD $34 ++ per person for a meal here. 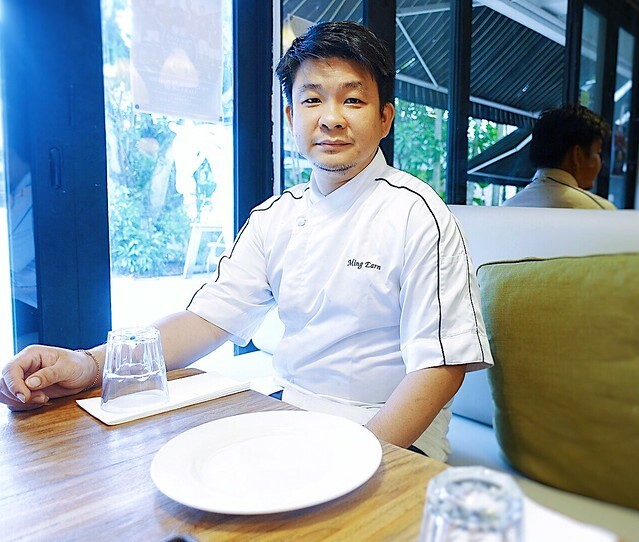 The kitchen is now headed by Senior Head Chef Ming Earn, who brings his prior experience from Tung Lok Group, Kitchen Language, Kriston Food and Beverage, and Creative Eateries Group of Restaurants, to bear here in creating new dishes with Asian flavours. 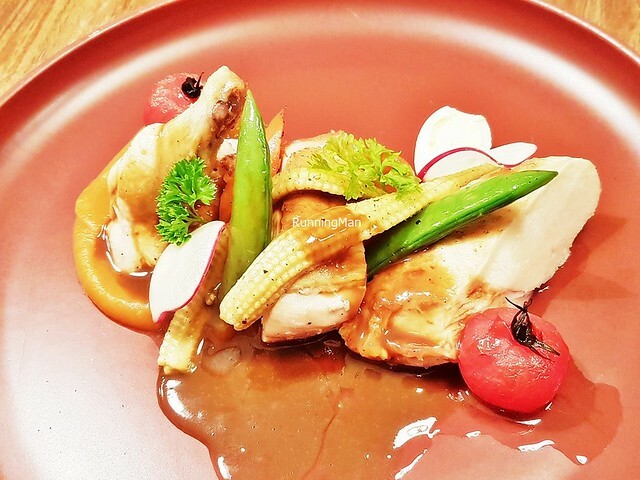 I note he seems to have a talent for managing events, being able to produce dishes for many diners, yet consistently maintaining the same high quality - which he demonstrated during our visit. 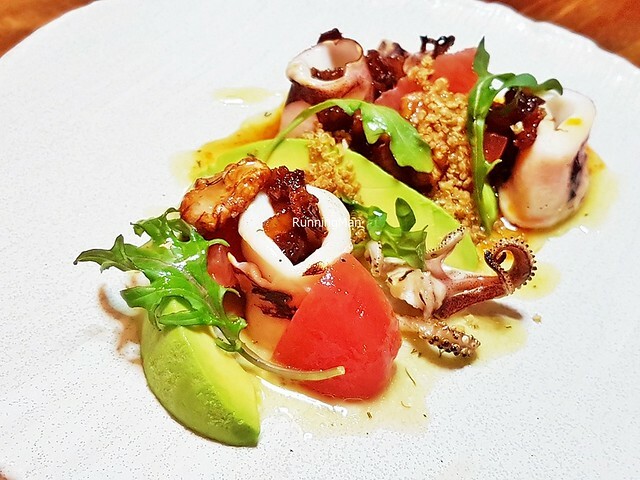 The Grilled Squid (SGD $16) is a bright, refreshing appetizer whose star is the fresh, bouncy meaty squid. 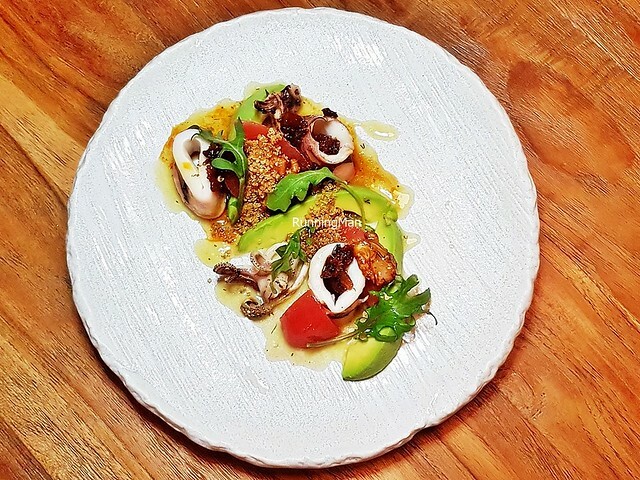 Plated with creamy vegetal avocado, tender sweet onions, crunchy bitter wild rocket leaves / arugula, crunchy sweet caramelised walnuts, juicy sweet tomatoes, and salty spicy chilli bacon strips with a tangy zesty lemon vinaigrette. 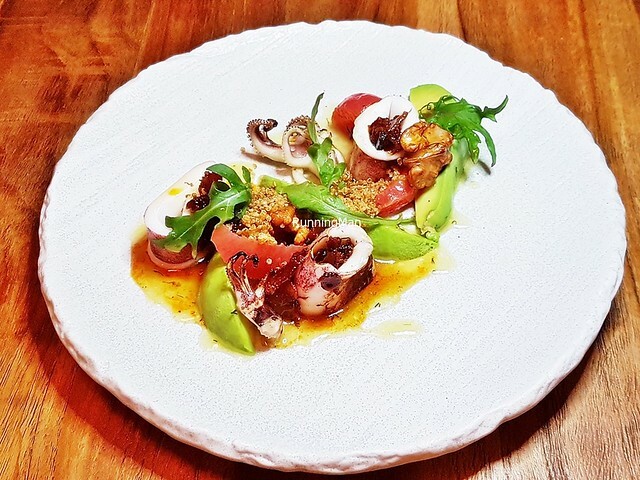 Flavours are layered and work together in harmony, a lively mouthful. Highly recommended! 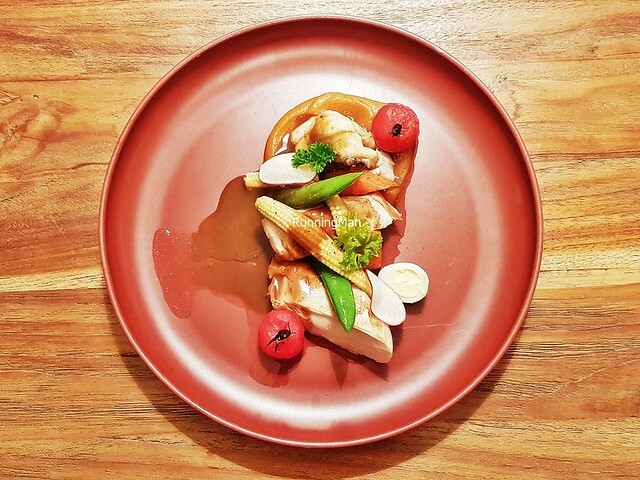 The Seared Chicken Breast (SGD $20) is an excellent showcase of Chef's skill, the lightly seared chicken breast is tender and juicy, with a light bouncy feel and sweet savoury notes. 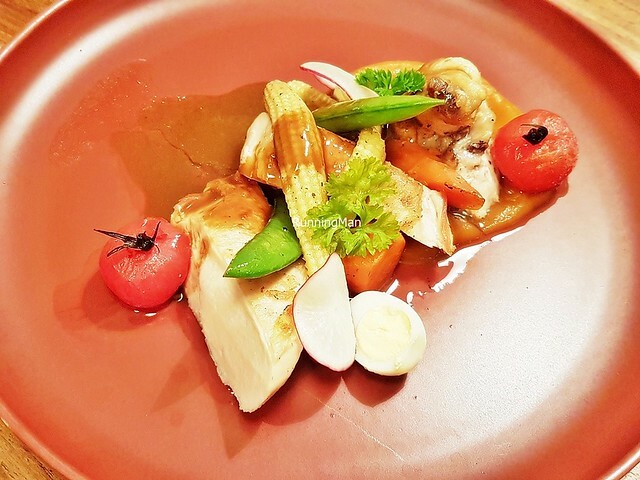 The medley of roasted vegetables (baby corn, carrots, snow peas) lend sweet vegetal notes and a tender crunch to texture, alongside the crunchy red radish and juicy smoky sweet confit cherry tomatoes. Rounded out with quail eggs, smoky earthy sweet kumara / sweet potato puree, and a beautifully robust salty savoury brown chicken gravy. Good! 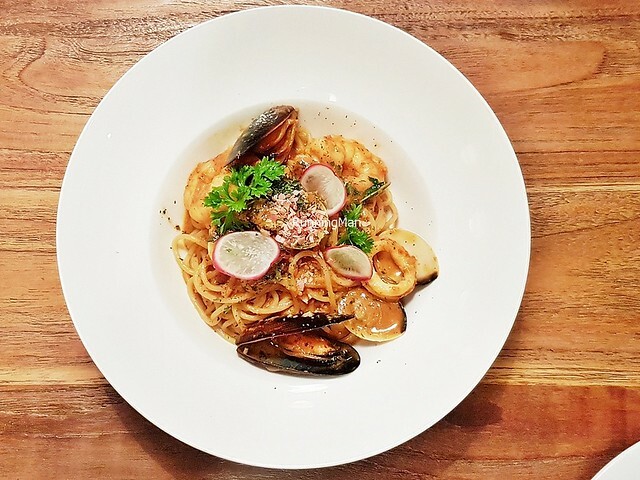 It's called 'Sing Chew' Spaghetti (SGD $20), but the taste resembles a laksa, with a full lemak gravy taste that is rich in coconut milk, dried shrimp, laksa leaves, and rempah spice. 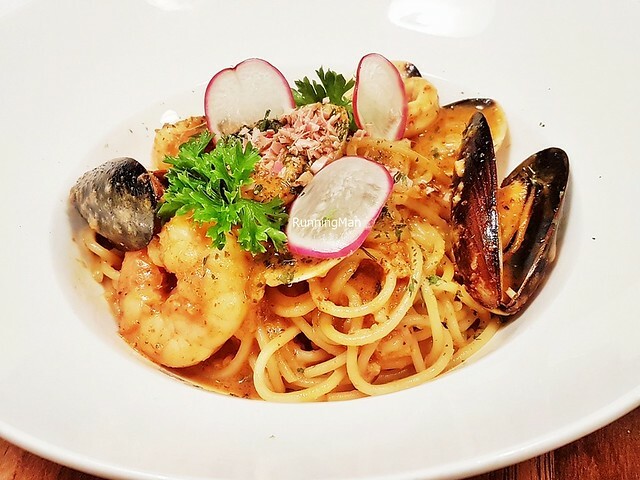 The spaghetti pasta noodles are done soft, Singaporean style, and the dish is garnished with red radish and fresh seafood, including clams, mussels, deshelled prawn / shrimp, and squid. 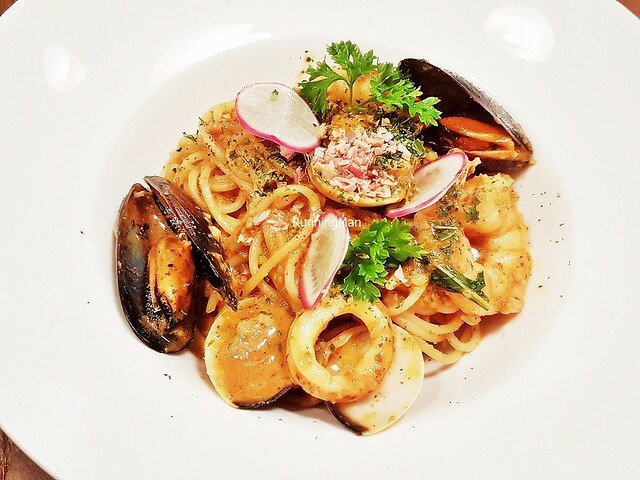 Very satisfiying comfort dish. Highly recommended! 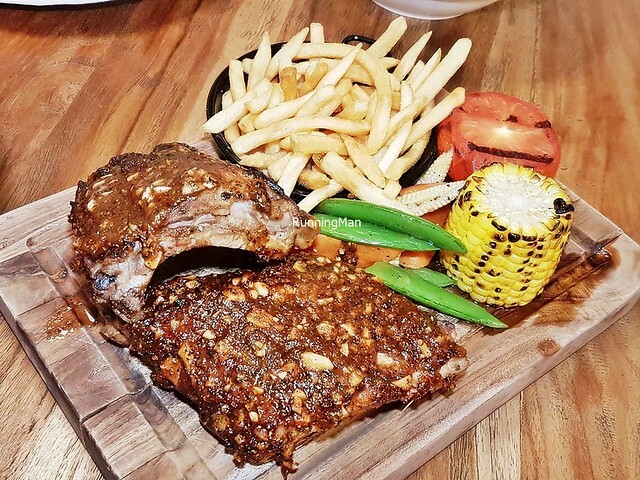 The BBQ Pork Rib (SGD $28) here has a more pronounced Asian flavour, with the tender, moist pork ribs having a savoury spice nutty coffee flavour from its Asian barbecue marinade. 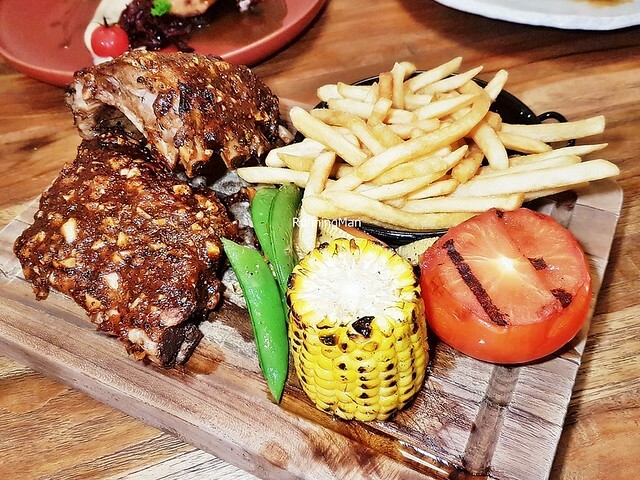 Served with grilled vegetables (tomato, baby corn, carrots, snow peas, corn), and fluffy shoestring fries that hold good potato flavour. Tasty, but the other dishes stood out more for me. 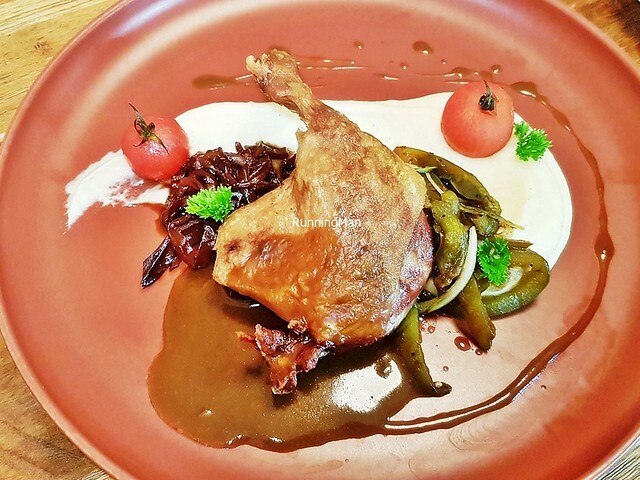 The Duck Leg Confit (SGD $26) has a nice smoky savoury salty confit of duck leg, tender and moist in texture, coming easily off the bone. 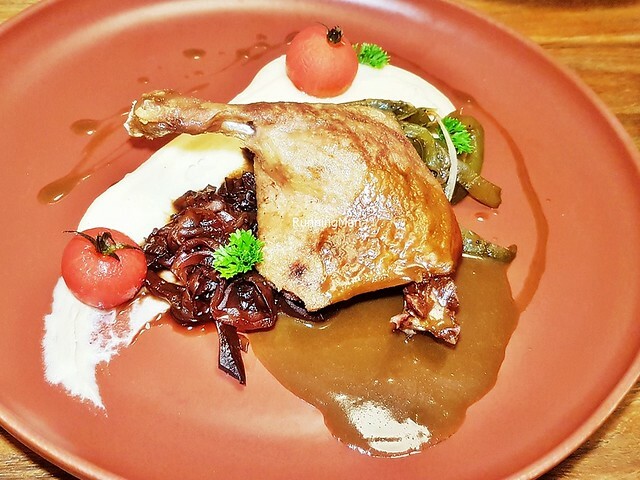 Served on a bed of creamy mashed potatoes, with juicy smoky sweet confit cherry tomatoes, a juicy earthy sweet red cabbage stew, and a hearty duck au jus with port wine gravy. However, the red pepper coulis was overcooked. This aside, the rest of the dish was pretty good. 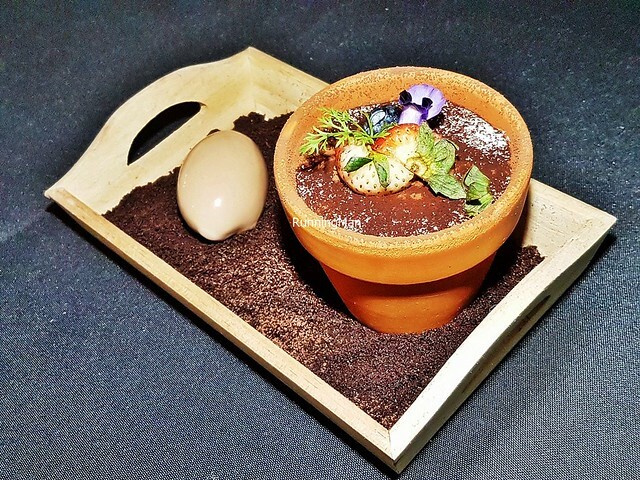 Love how the Tiramisu (SGD $13) is plated in a little flower pot, surrounded by a delicious edible soil of chocolate cookie crumble and a quenelle of espresso ice cream. 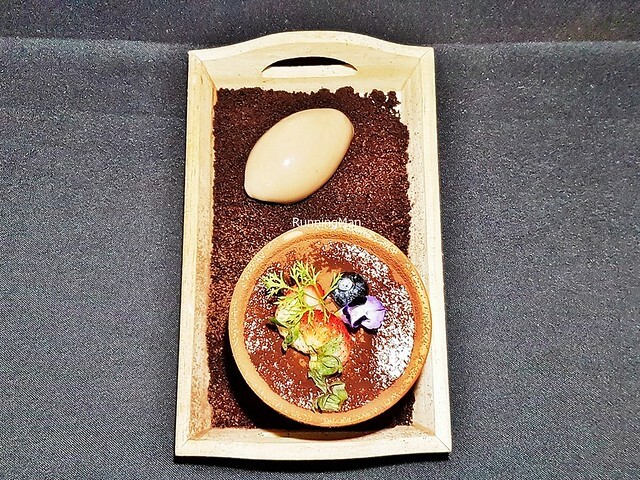 This modern dessert features creamy mascarpone cheese, layered between soft airy fluffy espresso infused vanilla sponge cake, spiked with Kahlúa coffee-flavored liqueur, dusted with cocoa powder and garnished with blueberries, strawberries, and edible flowers. 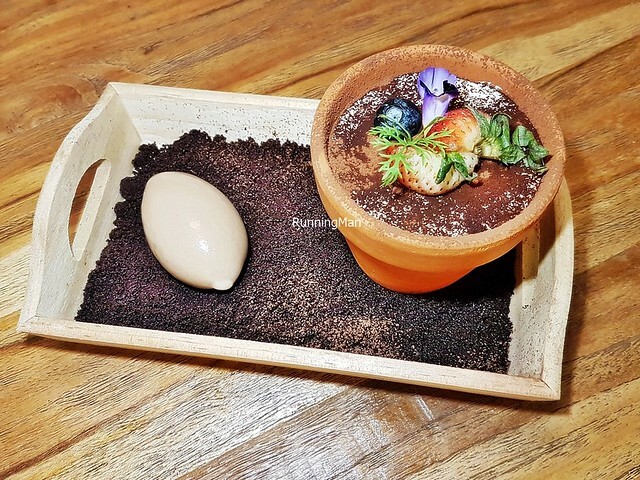 While I felt the fruits and ice cream were forgettable, the overall dessert is delicious and nicely executed, well worth ordering. Best shared, as the portion is large. Good! 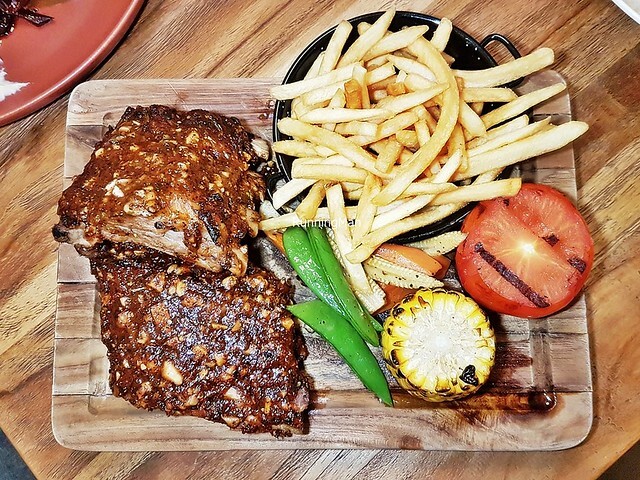 My previous visits to Portico have been memorable, and with this new team and new direction, I'm glad to say that Portico Host remains a good choice for casual or intimate dining experiences, with delicious food and good service in a homely, comfortable ambience, now at more wallet-friendly, affordable prices. 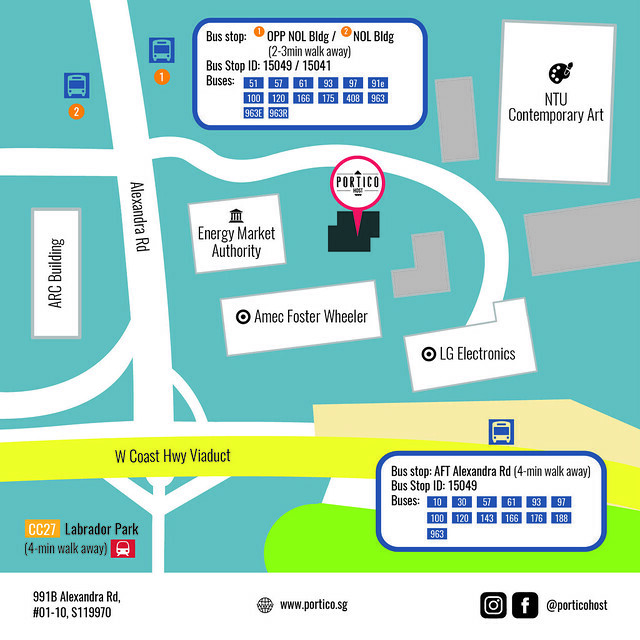 Being a short 3 - 4 minutes walk away from Labrador Park MRT Station, Portico Host is easily accessible, and those working nearby can take advantage of their lunch deals. 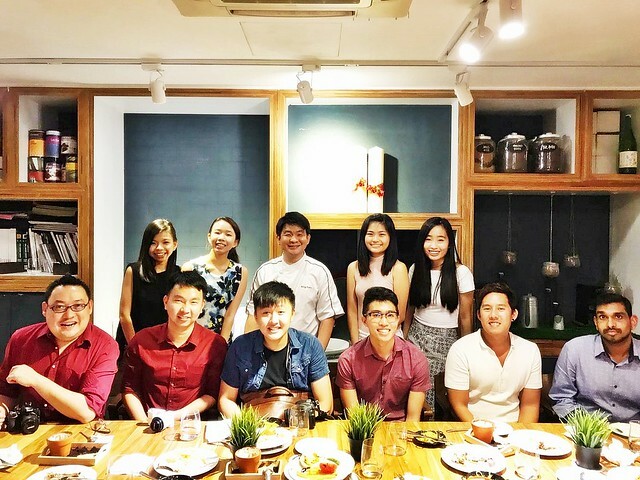 Promotion: For a limited time, NTU and NUS students, staff, or alumni who show their matriculation / staff / alumni cards to staff at Portico Host will enjoy 15% off their total bill. Only 1 card may be used during a visit, and this discount is not stackable with other promotions, except the one below. 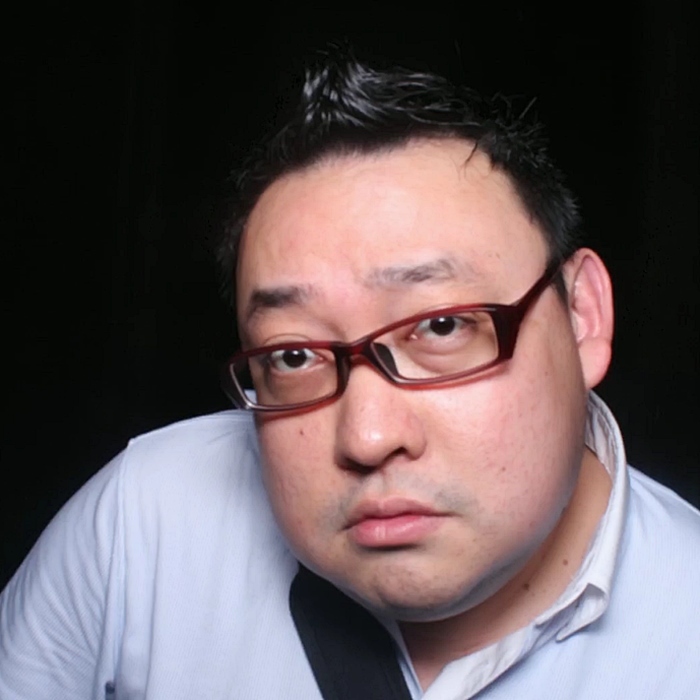 Promotion: For a limited time, mention promo code 'Ivan' to enjoy a free soft drink if you order a main course.